Chicken Satay has always been popular and with the addition of chicken meatballs gives it a great twist to a classic dish. Combine the chicken mince and diced onions and together and mix well. Form into 50 g meatballs. Lightly brown in the oven at 180 degree Celsius for 15 minutes. 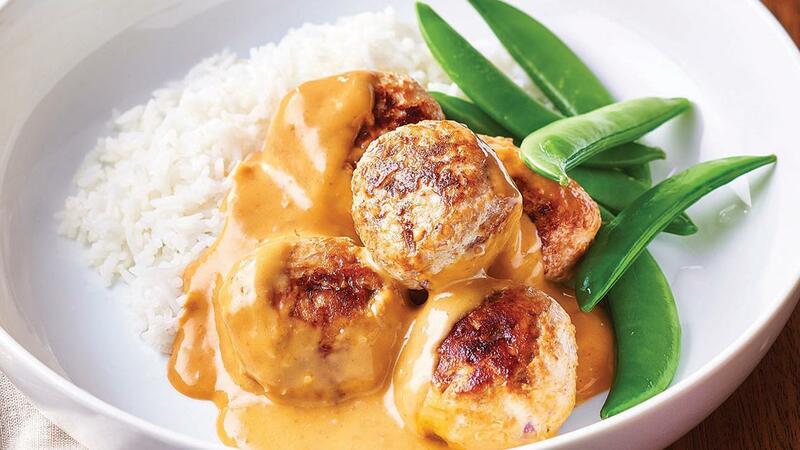 Combine the KNORR Coconut milk powder, water and the KNORR Malaysian Satay Sauce GF Pour the sauce over the meatballs and cook in the oven at 160 degree Celsius for a further 20 minutes. Serve with steamed carrots and rice.